Is this the graphics card for the future Mac Pro? 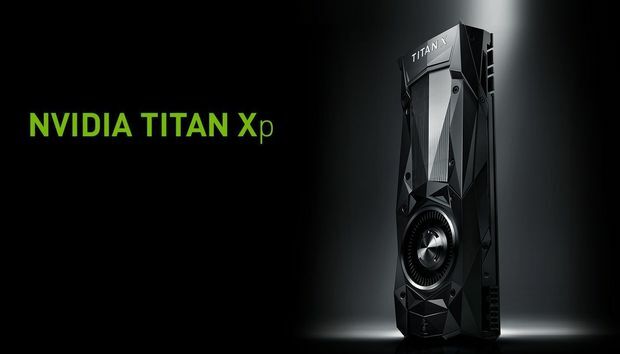 Nvidia on Thursday released a new flagship graphics card, the Titan Xp. While Mac users probably wouldn’t normally care about graphics card announcements, there are a couple of reasons why the Titan Xp demands your attention. Now consider Apple’s recent revelations about the future of the Mac Pro. It’s easy to speculate that the Nvidia announcement means that the Titan Xp is the graphics card we could see in the future Mac Pro. It would behoove Apple to put the best available graphics card in the future Mac Pro, and right now, that could be the Titan Xp. But the future Mac Pro isn’t due until 2018, so there’s a good chance that a new, more powerful graphics card will replace the Titan Xp. After all, Nvidia’s prior flagship, the GeForce GTX 1080 Ti (which, according to our sister site, PCWorld, was “the ultimate graphics card, period”) was released just a month ago. The other reason why the Nvidia announcement is interesting: The company confirmed to 9to5Mac that all of its Pascal-based graphics card will have Mac-compatible drivers. This includes Nvidia’s GeForce GTX 1080 Ti. If you put together a Hackintosh, you can use any Pascal-based Nvidia graphics card and be the envy of your Mac Pro-using buddies. There’s also a possibility (though it hasn’t been mentioned by Nvidia) that the Nvidia Mac drivers could allow Pascal-based cards to be used in pre-2013 Mac Pro, extending the life of the tower Mac.